As the sun came up on a warm, sunny fall day, Earlo Roland Pertz, 90, of Weston passed peacefully away on Tuesday, October 30, 2018 in United Hospital Center of Bridgeport following an extended illness. He was born in Weston on April 17, 1928: son of the late John Pertz and Mary Blanch (Underwood) Pertz. On December 4, 1964, he married Linda (West) Pertz, who survives. Mr. Pertz is also survived by two children: Paige Pertz Ilkhanipour and husband Kamyar and Amber Pertz both of Pittsburgh, PA , several nieces and nephews and his good dog: Sophie and grand cats: Barney and Zilla. In addition to his parents, Earlo was preceded in death by three brothers: Edwin Pertz, Dr. Elden Pertz and Gary Pertz and sister: Elsie Pertz. Mr. Pertz was raised in Kitsonville. He attended West Virginia Wesleyan of Buckhannon in Pre-Pharmacy and later attended West Virginia University. He was a veteran of the United States Army during the Korean Conflict where he was in the lab of a MASH unit. As a young man, he enjoyed hunting and hiking in the hills and valleys around his home and swimming in the river, which was the first place his mother always told him not to go. Later in life, Mr. Pertz was a sales manager with West Virginia Glass Specialty Company of Weston where he worked along with many great friends until the glass company closed. A new door opened when he went to work for the West Virginia Department of Highways. He often spoke of all the amazing folks that he met there. He enjoyed it so much that he only retired at the age of 88 after over 20 years of service. Pertz was a member of ELK’s Club of Buckhannon, Loyal Order of Moose of Weston and the American Legion Post#4 of Weston. He enjoyed spending time with his family, being outdoors, taking long drives down a country road, having a great meal, hearing a funny joke and telling a good story. 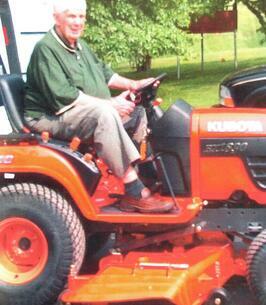 His hobbies included golfing, hunting, fishing and playing cards. At Earlo’s request, he will be cremated and his ashes will be scattered on a sunny hillside in West Virginia. Online condolences and life stories in memory of Earlo may be expressed at hardman-palettifuneralhome.com. Hardman-Paletti Funeral Home of Weston is honored and privileged to serve the family of Earlo Roland Pertz. To send flowers to the family of Earlo Roland Pertz, please visit our Heartfelt Sympathies Store. We encourage you to share any memorable photos or stories about Earlo. All tributes placed on and purchased through this memorial website will remain on in perpetuity for future generations. So very sorry to hear about Earlo's passing. My Mom (Pauline Hinzman Linger) also spoke of the Pertz kids (Earlo & Elsie) of being such good friends with her, Aunt Peggy & Uncle Tommy. I remember Earlo coming with Uncle Tommy when Daddy (Gail Linger) was being transferred to SJMH to meet a specialist from Clarksburg only because Daddy would not have survived to trip to Clarksburg. Earlo thought it was funny that Mom & I beat the ambulance there. Uncle Tommy did not. RIP Earlo Pertz, you were a great man who was loved by many. Linda, I'm so very sorry for your loss. He was a good man. Praying for peace and comfort for you and your family. Linda, Paige and Amber.. I (we) just learned yesterday of Erlo’s passing. I am so very sorry to hear of this. He was a good man and I have many fond memories of him! Many hugs and prayers for you all! I am so sorry, Linda. Earlo was an outstanding person. He lifted the spirits of all who came into his presence. He was so kind to everyone. My aunt, Eloise McDougal, was so appreciative of his many acts of kindness to those he worked with at the Department of Highways. May God bless and comfort you, Linda, and your children. Hugs and prayers.